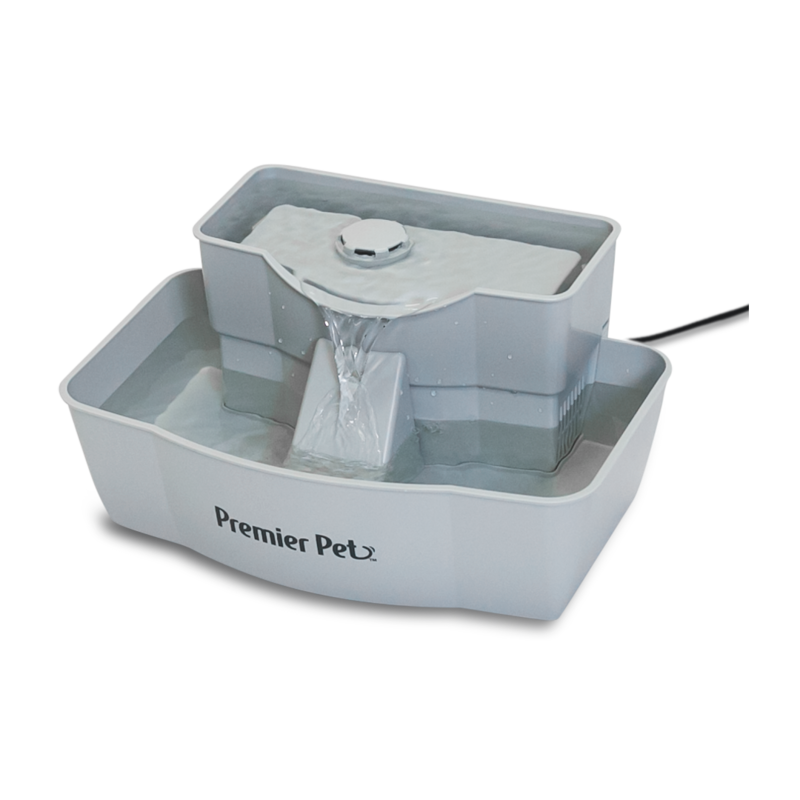 The Premier Pet™ Fountain provides your pet with 100 ounces of fresh, filtered water. The submersible pump circulates the water through an activated carbon filter, to remove bad taste and odor. 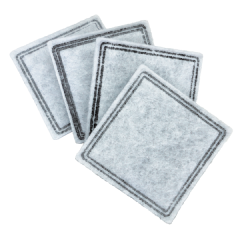 Cleaning the fountain and replacing the filter every 2 to 4 weeks ensures the freshest water and a long-lasting fountain. The BPA free plastic design comes apart for easy cleaning and is top-shelf dishwasher safe (excluding the pump). 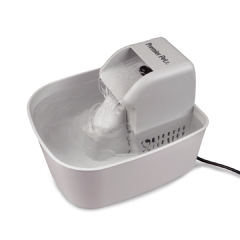 The continuously moving water prevents bacteria growth, keeping the fountain cleaner than a standing water bowl, and encourages your pet to drink more. Your pet has the option to drink from the free-falling water stream, upper dish, or the shallow bowl. By drinking more, your dog or cat will stay properly hydrated, promoting a healthier lifestyle and a happier pet.